By default, your loyalty program includes an on-site tab for customers to access your loyalty widget. 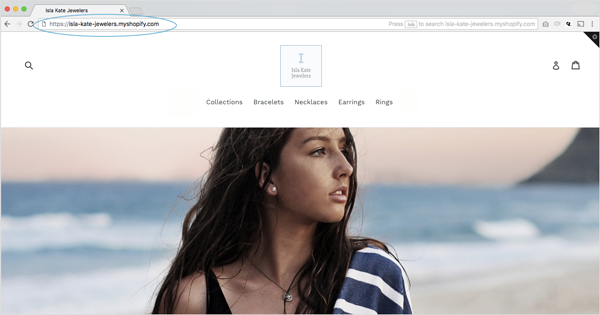 Creating a tabless program allows you to remove the tab from your online store, and instead, link to your loyalty program in your navigation menu, a loyalty section with an image, or anywhere else on your site. 2. 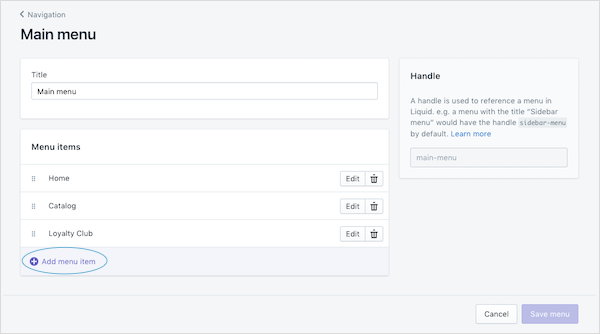 Switch Add your loyalty widget to your eCommerce store to OFF. This will remove your loyalty tab from your online store. To create a tabless loyalty program, you'll need to create a loyalty program link. 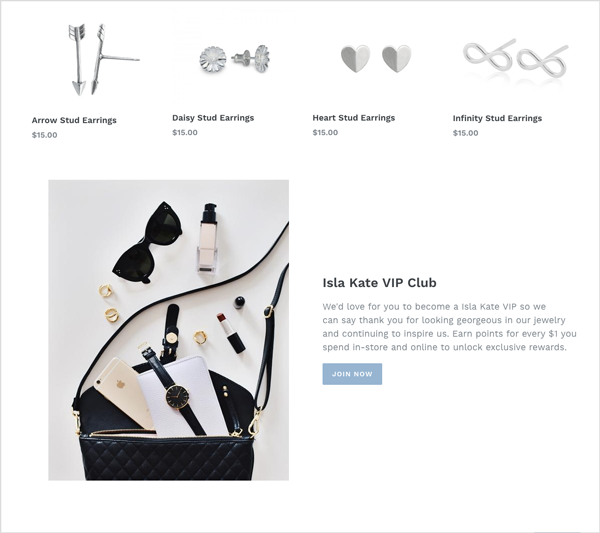 Your online store will then show with your loyalty widget open. This URL is your loyalty program link. Make sure you keep this link handy for the next step. 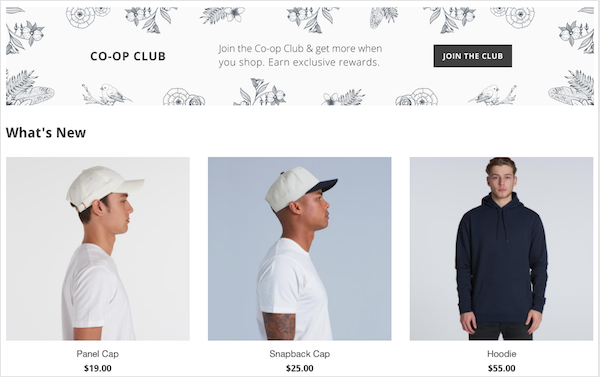 📝 Note: This is one option for adding your loyalty program to your website without a tab. We encourage you to be creative and think of the best way your loyalty program will fit into your unique site design. 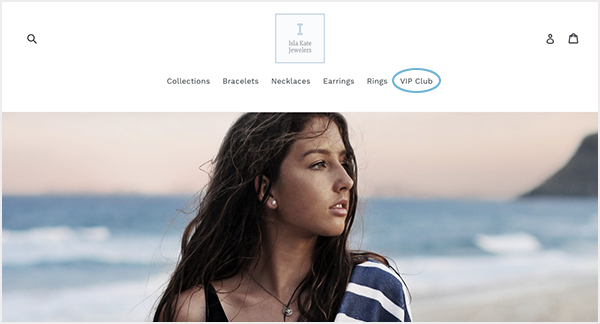 Your new loyalty program menu item will then show on your chosen website navigation, e.g. Main Menu. When a visitor clicks VIP club your loyalty widget will open. New customers can join your loyalty program and existing members can login to check their points balance, earn points and redeem rewards. 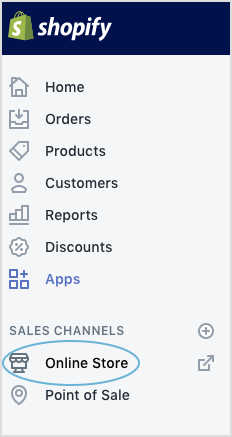 💡 Pro Tip: Make sure that your loyalty program is visible and clearly labelled so that customers can find it. 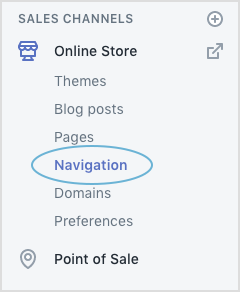 You may even choose to have links on both top and bottom navigation bars, and button links throughout the site so it's easily accessible.